With the latest additions to my site FreePrintableGroceryList.com, there are now more than 300 menu planners, grocery lists and other printables to download and print for free. I started this site back in 2008 and thanks to user suggestions I’m always adding to it. You’ll find new food lists for special dietary needs as well as variations on menu planners and other handy time- and money-saving printables. There’s a new budget-friendly grocery list that has spaces to compare prices among stores. I’ve also added a meal delivery kit tracker and comparison list. The new menu planners cover one week or an entire month. 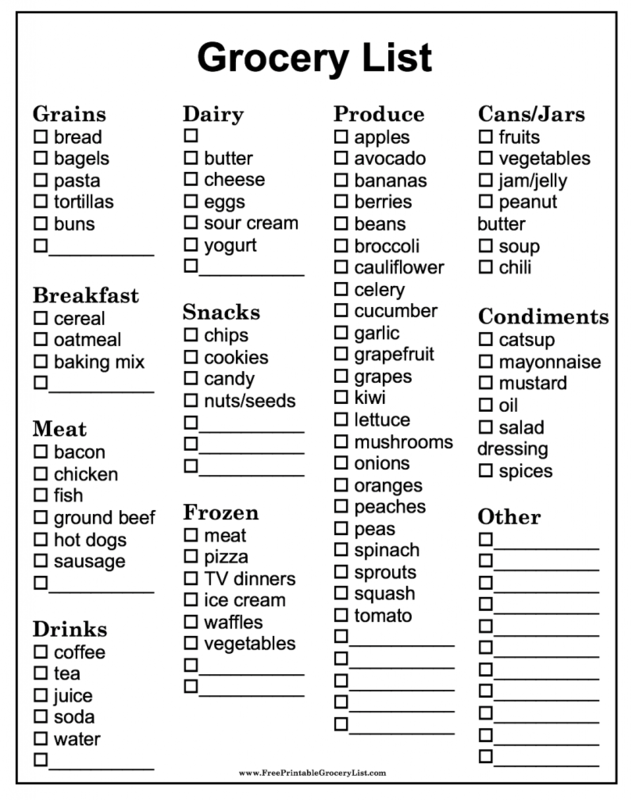 Also just added are a large print basic grocery list and a medical shopping list. A new Price List guide complements the site’s popular Coupon Binder. It has coordinating, scallop-illustrated pages with price comparison lists. The new specialty grocery lists are based on food sensitivities cover diabetes, celiac disease, and gluten sensitivity. Other lists are for people who need to restrict carbohydrates and sodium. Also new are low-histamine and low-residue grocery lists. FreePrintableGroceryList.com has everything from basic lists to shopping lists for special events, packing lists, substitutions lists, pantry lists, holiday lists, and mini lists. I just added a rental home comparison list and an emergency list for the car. The all-time favorite is the Master Grocery List checklist with dozens of items prefilled. Remember, everything at the site is free to download and print in PDF or editable DOC (Microsoft Word) format. FreePrintable.net provides beautiful printable files that you can customize and print on your inkjet or laser printer — more than 44,695, and growing weekly.